Plan Vivo certified carbon offsets are built on agroforestry, preserving and regenerating forests in cooperation with local land owners. Trees are important for several ecosystems, impacting us humans, the global climate and the local biodiversity alike. Plan Vivo projects are found around the globe, and agroforestry is the common denominator binding them together. According to FAO agroforestry is an excellent way to secure food supplies whilst reducing agricultural vulnerability, and adapting to a changing climate. Plan Vivo is a framework that assists local communities in managing their natural resources in a more sustainable way. The framework, the standard, contains details on how carbon reduction is measured and monitored, meanwhile ensuring that social and ecological development is safeguarded. Validation and certification is carried out by third-party auditors such as Rainforest Alliance, and each project is verified again every 3 to 5 years. Reducing emissions from deforestation and forest degradation (REDD) is a UNFCCC initiative aiming at stopping degradation and logging of forests around the world. 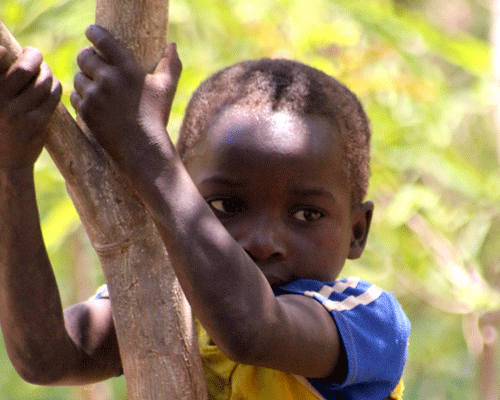 In Yaeda in northern Tanzania the organization Carbon Tanzania works with local nomadic tribes, the Hadza. In this project a system has been set in place, in order to safely manage and protect the large forest areas that are the foundation of the Hadza hunter-gatherer lifestyle. This project is Plan Vivo certified, making it possible for local tribes to receive payments for patrolling their forests, as well as transforming to a more sustainable forest management. In total, 48 000 tons of CO2 of carbon reductions have been achieved, and over 20 000 hectars of forests been saved from illegal logging. Durian Rambun, situated among the rainforests of central Sumatra in Indonesia, is a village of about 200 individuals who together protect and preserve a 2500 hectar unique forest area from poaching and illegal logging. This is a REDD+ project through which PES (payment for ecosystem services) provide funding for the community to patrol and protect their forest, as well as developing new and alternative business opportunities. Through a near cooperation between the community and Fauna and Flora International (FFI), the aim of this project is to strengthen the local economy and social stability. The payments are distributed between groups in the village in a democratic manner, a successful strategy according to the villagers. A women’s cooperative, a youth group, a forest management group, a patrol group and a forest-legislation group have all received payments as a result of this project.